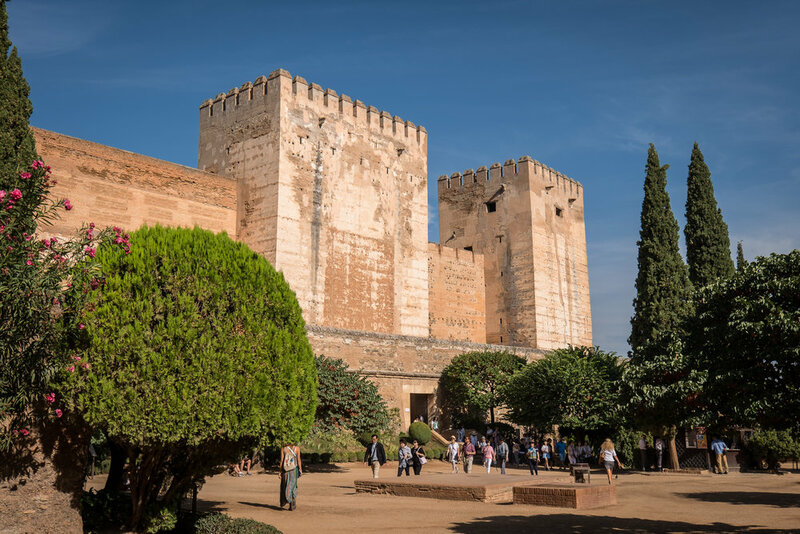 As a last hurrah in Spain, Mango and I took a quick road trip south of Madrid to experience Moorish palace and fortress complex the Alhambra, a UNESCO World Heritage Site since 1984. 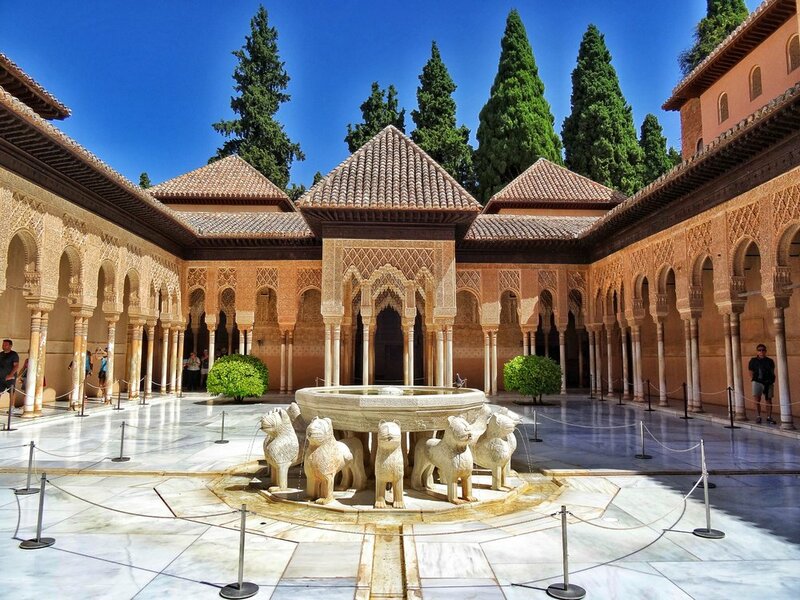 The compound dates back to 889 AD when it served as a simple Roman fortress, although it did not become significant until the 13th century when sultans and emirs expanded the buildings to include Alhambra's trademark simple yet grand red-hued palaces and courtyards (thus prompting its Arabic name, "The Red One"). 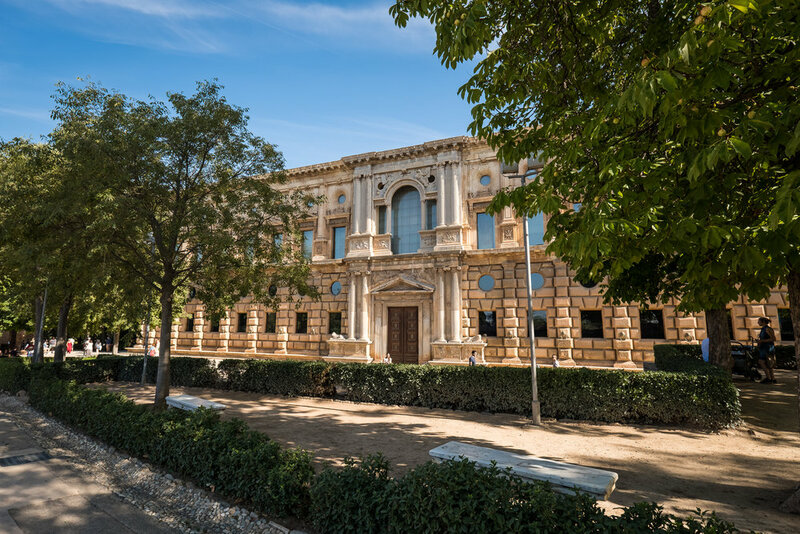 Following the Christian Reconquista in 1492, the Royal Court moved into the complex and Carlos V built a palace in Renaissance Mannerism style. 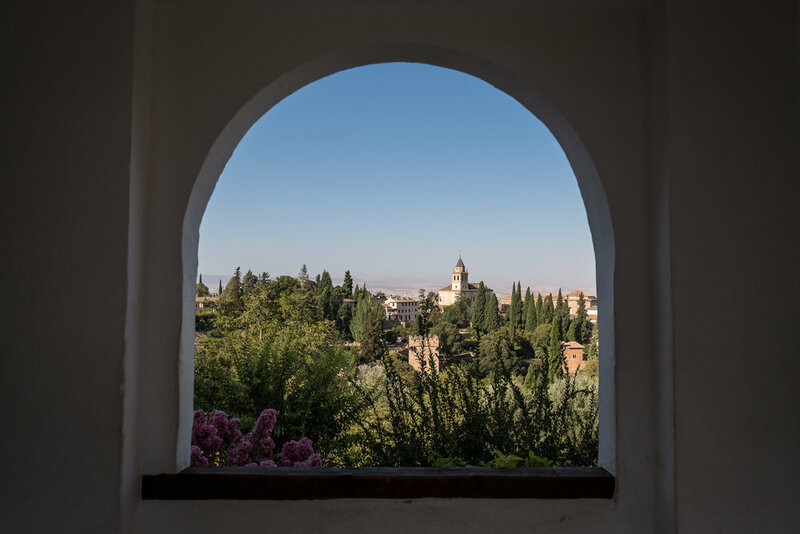 So, the Alhambra is a unique blend of architecture styles and cultures, set picturesquely above the historic city of Granada. 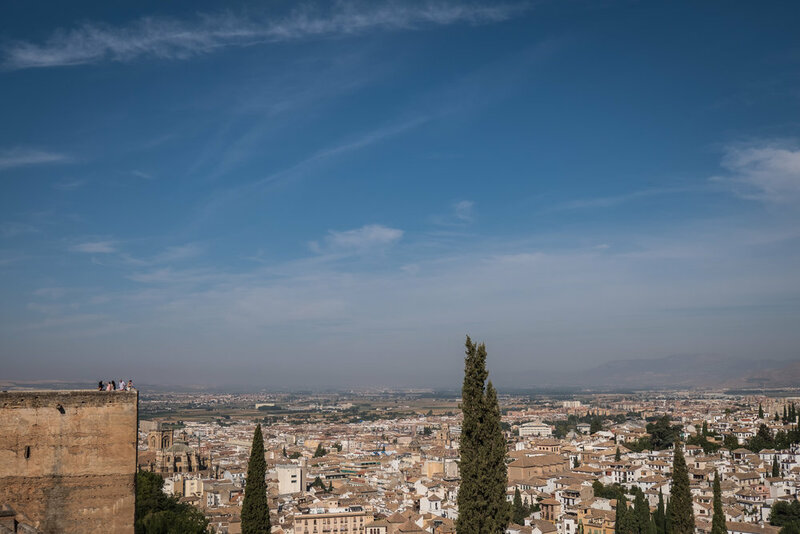 I arrived in Granada late on Saturday, or at least late by my standards, but the night was young for the locals I watched as I ate at an outdoor cafe in a cozy plaza. 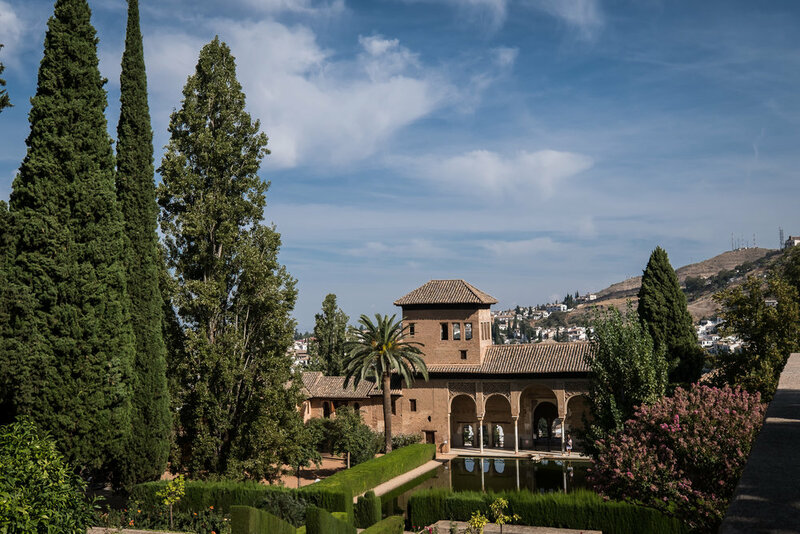 The next day, I woke up and went straight to the Alhambra and fortunately was able to buy a ticket (I realized the night before that tickets could be sold out); a tour of the palace was only available in the afternoon and I wasn't too keen on waiting, so I had to skip the elegant Palacios Nazaríes with its gorgeous Court of the Lions. Regardless, touring the rest of the carefully-manicured grounds was an unforgettable experience. 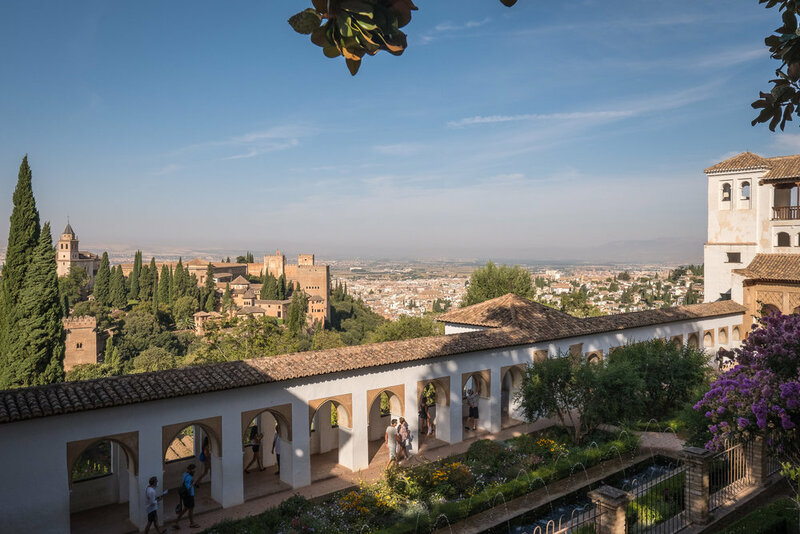 What I most enjoyed about my Sunday morning stroll through the Alhambra was how the site connected its buildings to nature. I loved the abundance of water and found it to be extremely calming, from long reflecting pools to a stairway flanked by small streams to simple hammams. 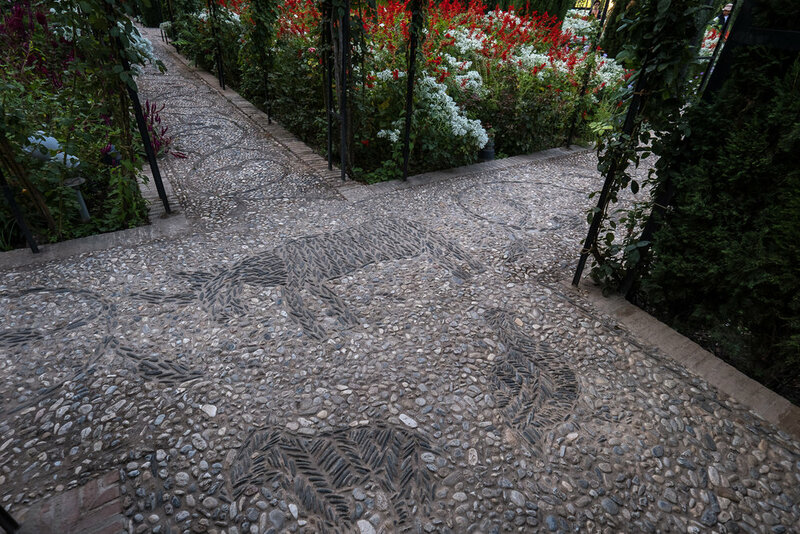 The landscaping was also extraordinary, with colorful flowers and meticulously-trimmed trees accenting grand courtyards. Visiting palace after palace with breathtaking views of the compound and city, I couldn't help but imagine how good it was to be sultan here hundreds of years ago, lounging in the cool shade and entertained by nothing but nature's finest. 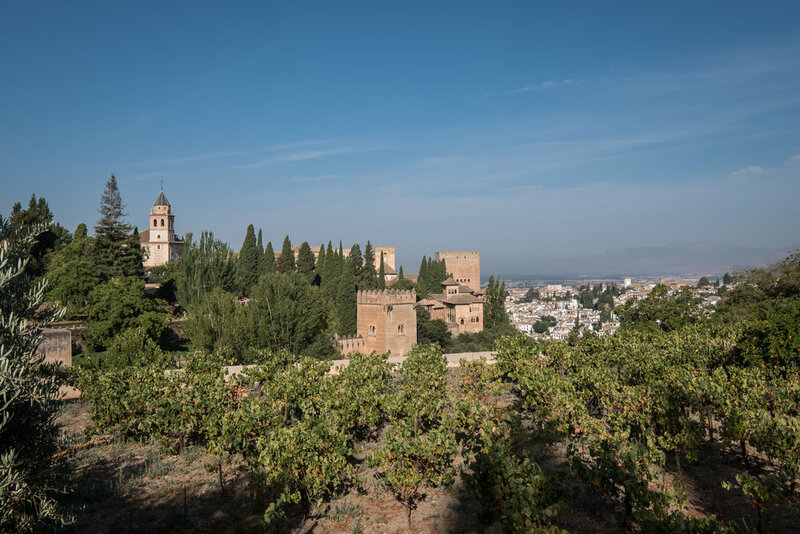 My hostel was located on the hillside below the Alhambra, near Granada's old town. 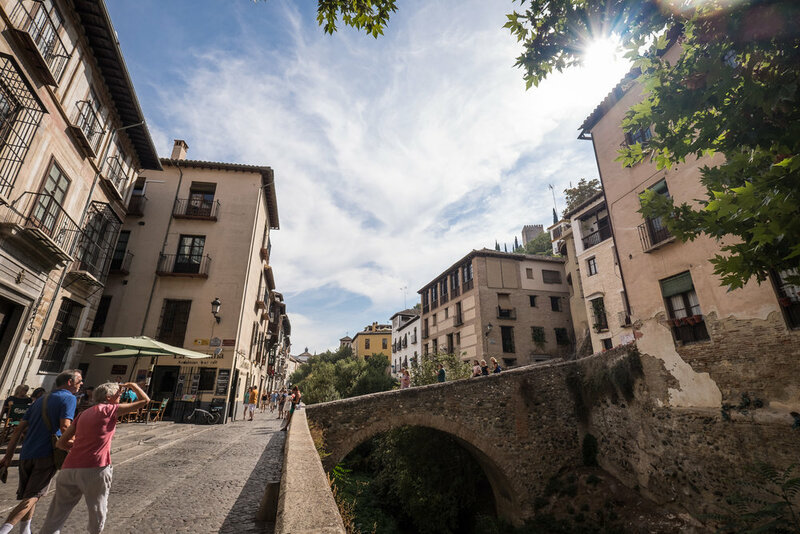 Unfortunately, I didn't have much time to thoroughly explore this picturesque corner of Spain, but I did get a taste of the city's rugged landscape, intimate plazas, and tight, winding alleys.